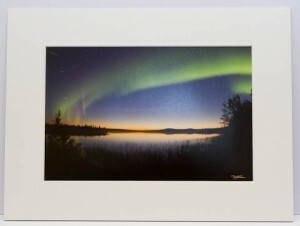 Fine Art Prints and Photo Cards are available for all the photographs in the online Photo Gallery and from my gallery in Muonio. 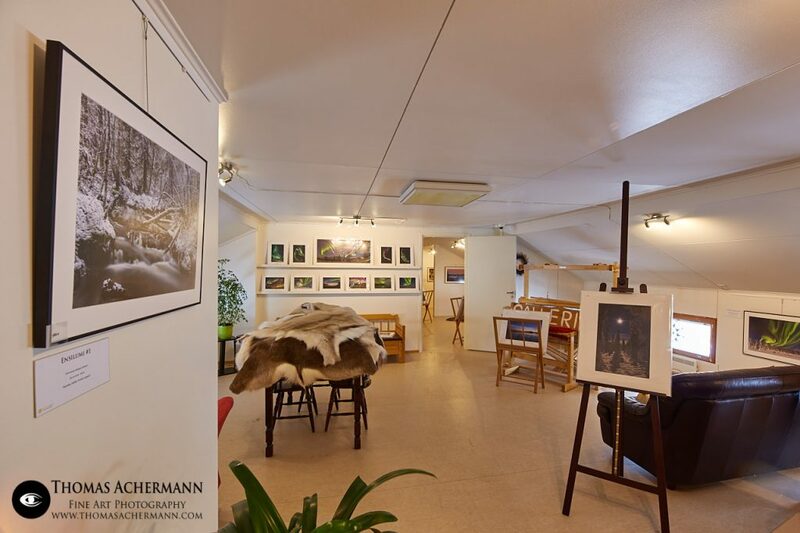 My gallery is located at Swiss Cafe Konditoria, Puthaanrannantie 5, Muonio – all of my photographs are available here. Each of these prints is made by myself on an Epson SureColor© printer using Epson UltraChrome© HD archival pigment inks and Canson© Infinity Photo Lustre Premium paper. This combination guaranties for brilliant color reproduction and long lasting prints. 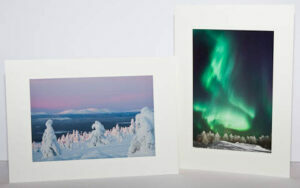 These prints are mounted in white mat-board and are ready for framing. They are open edition prints and are numbered and signed.